The master-planned community of Sienna Plantation, Texas, is located on the site where a large and profitable cotton and sugar plantation once stood and is encircled by Missouri City as part of the Houston metropolitan area. This small community is home to almost 14,000 residents and offers easy access to employment opportunities in the big city while retaining its own unique charm and way of living. The technical experts at All Out A/C & Heating can provide the climate control solutions needed to keep Sienna Plantation families comfortable and cool even in the hottest and most humid weather that summers in Texas can dish up. Most of the homes in Sienna Plantation have been built in the last two decades and offer energy-efficient and technologically advanced features designed to reduce utility bills and increase the comfort of residents in this area. At All Out A/C & Heating, our certified technicians have the training and experience necessary to provide Sienna Plantation HVAC repair services for all makes and models of climate control equipment. Our team goes the extra mile to ensure that you enjoy the most comfortable indoor environment all year around. We have been serving customers in the Houston metropolitan area for more than 25 years and can offer the best in responsive service and reliable repairs for your heating and cooling system. 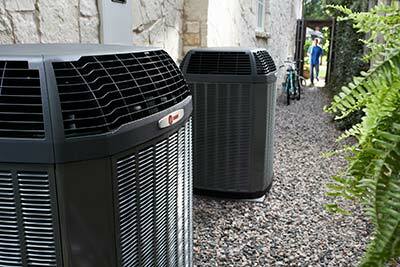 If your issue is more serious or expensive to repair, a new air conditioning system may be a practical alternative. All Out A/C & Heating can provide you with options from Trane or Ruud that can deliver reliable cooling and can ensure the highest degree of comfort for your family even during the hottest summer weather. 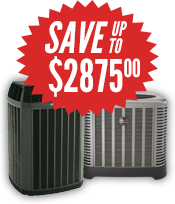 All Out A/C & Heating is committed to providing Sienna Plantation residents with the most cost-effective and reliable air conditioning repair and replacement options. 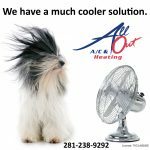 If your air conditioning is underperforming or not working at all, give us a call at 281-238-9292 and enjoy the best in HVAC repair today.